Looking for Branch Circuit Monitoring Panelboards? Get a quote fast. Keeping track of your electricity. Branch circuit monitoring, or BCM for short, is a system used to monitor individual electrical circuits. A branch circuit monitoring device helps keep track of everything from amperage to voltage to watts and more. Branch circuit monitoring can help to better configure and manage your electrical system, while also helping to improve productivity and reliability. A branch circuit monitor serves as a great preventative device as well, as it can alert you of circuit overloads, potential circuit overloads, or if a circuit is approaching its limit before causing serious damage. Plus, not only can a branch circuit monitor save you money on repairs and servicing fees, but it can also save you hours of potential maintenance. Is a branch circuit monitor right for me? Branch circuit monitor devices are used across all sectors, including residential, commercial, and industrial. 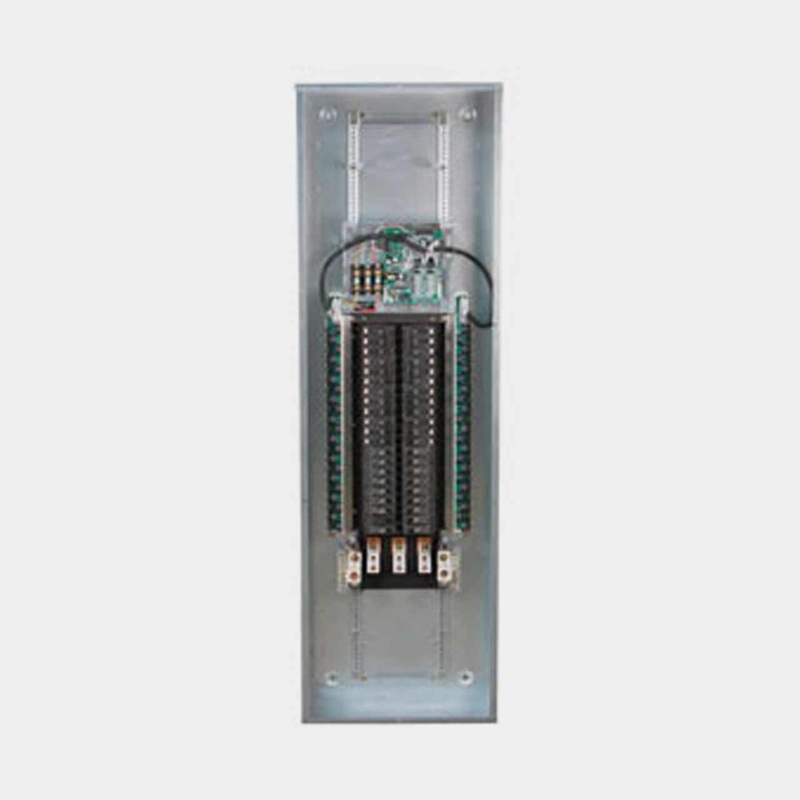 They’re easy to install, and fit perfectly into electrical systems without interfering with any breakers or fuses, or impeding access to other overcurrent devices within your lighting or distribution panelboard. Choose Bay Power for your branch circuit monitor. Thinking about installing a branch circuit monitor? Bay Power has a wide variety of branch circuit monitors, whether you’re thinking big or small. A BCM is always a great device (not to mention a time and money saver) to consider adding to your electrical panelboard. Take advantage of our extensive product selection and choose from top industry brands like Square D, Siemens, GE, Eaton, Cutler Hammer, and more. Have any old or unused Branch Circuit Monitoring Panelboards lying around? Don’t get rid of them just yet. While we stock a wide range of quality electrical products and solutions, both new and reconditioned, we also buy back your unwanted equipment. So, before deciding what to do with your old Branch Circuit Monitoring Panelboards and components, have one of our expert technicians take a look to see if we can save a few parts, save the environment, and save you some cash. Great service shouldn’t end after the purchase. We pride ourselves on the relationships we build with our customer-first mentality and the quality of our Branch Circuit Monitoring Panelboards and components. That’s why we offer a 1-year replacement warranty on all of our electrical products and solutions from the top manufacturers. Because when you buy with Bay Power, you buy with confidence. We are proud to stock a variety of competitively priced, new and reconditioned components from the leading manufacturers of Branch Circuit Monitoring Panelboards. Thanks to our extensive inventory of Branch Circuit Monitoring Panelboards and components, our resourceful and expertly trained staff will always be able to get the products that you need. Through our extensive network of suppliers, we are able to carry and acquire a huge variety of electrical products and solutions, so chances are if you need it, we can get it. Bay Power’s priority is providing you with reliable, high quality electrical hardware. That’s why our mission is to make sure our reconditioned electrical products and solutions function as perfectly as the day they were built. Because while the quality is high, the cost of Branch Circuit Monitoring Panelboards shouldn’t be. Our selection of new surplus Branch Circuit Monitoring Panelboards may not arrive brand new in a box, but they function just as well, and have never had electricity run through them. All of the quality, none of the packaging, always with our 1-year replacement warranty.